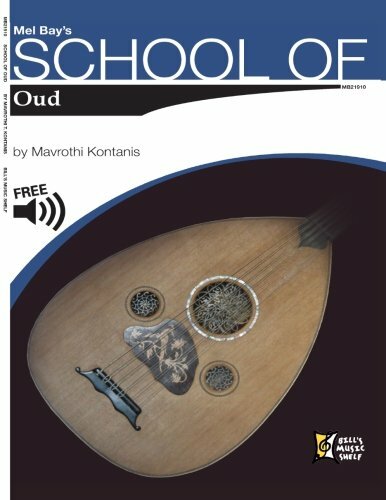 This method and its accompanying recording are for the beginning and intermediate oud student interested in gaining a stronger understanding of makam theory and practice on the oud, while also providing advice and exercises useful for improving overall playing technique. Three beautiful and commonly heard makams are presented, specifically Rast, Mahur and Nikriz. The unique characteristics of each of these makams are described and illustrated in detail through exercises, etudes and traditional repertoire, using a wide variety of rhythms and compositional forms, and paired with audio recordings to guide you in your practice. Mavrothi T. Kontanis was born in 1979 in Pennsylvania, USA, though his family’s origin is from Halkidiki, Greece. As a child, he showed interest in several instruments, including the clarinet, guitar, and bouzouki. However, at the age of 16 he discovered his true passion, the oud, and began lessons with his first teacher Stamatis Merzanis immediately. Since then he has studied with many other renowned masters including Münir N. Beken, Emin Gündüz, John Berberian, Kyriakos Kalaitzides, Dinçer Dalkılıc, Yurdal Tokcan, and Ara Dinkjian. Mavrothi has performed throughout the United States, Europe, and the Middle East playing traditional and classical music from all over the world, as well as original compositions of his own with various ensembles. He has been featured on several albums and the film soundtrack of “AmericanEast,” and released two albums of his own in June, 2008 that showcase the oud and diversity of authentic sounds from the Aegean Sea region. In addition to playing oud, Mavrothi has become an accomplished singer and violinist, and also enjoys teaching and writing.